It is 1868, and a 22-year-old Bram Stoker has locked himself inside an abbey's tower to face off against a vile and ungodly beast. He is armed with mirrors and crucifixes and holy water and a gun - and is kept company by a bottle of plum brandy. His fervent prayer is that he will survive this one night - a night that will prove to be the longest of his life. Desperate to leave a record of what he has witnessed, the young man scribbles out the events that brought him to this point - and tells an extraordinary tale of childhood illness, a mysterious nanny, and stories once thought to be fables now proven true. 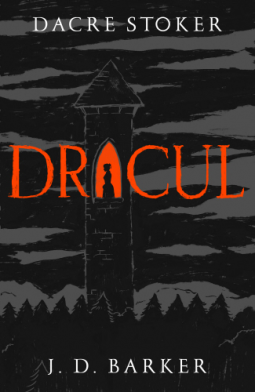 A riveting, heart-stoppingly scary novel of Gothic suspense, Dracul reveals not only the true origins of Dracula himself, but also of his creator, Bram Stoker . . . and of the elusive, enigmatic woman who connects them. Dracul was a fascinating and captivating read. I loved every minute of this prequel story that imagined the origins of Bram Stoker's tale and his personal interactions with vampires, including the infamous Dracula. The book was atmospheric, and I enjoyed the juxtaposition of the 'now' prose with letters and journal extracts detailing past events. It was a device that worked well and allowed us to garner information from various viewpoints. While more Gothic than outright horror, there were still plenty of edge-of-the-seat moments, and overall the book was nicely paced, with plenty of action and adventure. The author's note at the end was also interesting. I would certainly recommend Dracul to vampire/Dracula fans and lovers of Gothic tales.